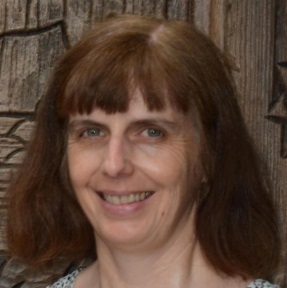 About the Authors: Hazel Percy is married and lives with her family in the UK. She started stuttering around the age of 5 and for many years suffered from a severe and overt stuttering problem, which restricted her life in many ways. Although she currently works part-time in a care home, her passion is public speaking. In 2005 she achieved the LAMDA Bronze Award in Public Speaking and is currently a speaker for the Women’s Institute. She is also a member of a local Toastmasters club. If you are a person who stutters (PWS), have you ever wondered why you are sometimes (or perhaps always) more fluent when speaking alone, than when speaking to other people? Or why you only stutter in certain situations? Being a relatively severe and overt PWS when speaking to anyone (and for almost 50 years), this puzzled and frustrated me so much! I would often ask myself the question: How can I transfer the easy and effortless way in which I speak when alone, into situations where I am speaking to other people? During my teens, twenties, thirties and forties, I tried various approaches to help me to speak with greater ease. Techniques included nodding my head with every syllable, breathing in an abnormal way, voluntary stuttering; as well as changing the beliefs and perceptions which I held about myself and my listeners, to be more positive. I had varying degrees of success but none of the methods which I tried and used, led me to the consistent, natural, effortless speech which I experienced when alone. What was going on? What was the answer? Was there an answer at all? Was there a key (or keys) which would unlock the door of this seemingly inescapable prison, so that I could truly speak my mind in an easy and effortless way? In my late thirties and forties, I read several autobiographies written by people who had largely overcome their own stuttering. These included John Harrison’s ‘Redefining Stuttering: What the struggle to speak is really all about’ and Ruth Mead’s ‘Speech is a River’. I also read Barbara Dahm’s book; ‘Freeing Your Inner Fluency: A Dramatically Different Outlook on Stuttering’ and had several therapy sessions with her. In addition I made many observations myself of what I was doing in my mind when I was fluent; and what I was doing differently when I stuttered. It soon became very obvious to me that stuttering was not just ‘something which was happening to me, outside my control’ – even though at first glance, it could very easily seem that way. I came to realise that I was inadvertently creating the blocks and stutters every time, by what I was subconsciously and habitually choosing to focus on in my mind before and during the speaking process; namely, the words which I was about to say and the fear of stuttering on them. In effect, I was subconsciously trying to ‘not stutter’ – and triggering the opposite behaviour to that which I desired, every time! Over many years, I had developed an ingrained habit of usually knowing beforehand what words I wanted to say before saying them. I often visualized the words in my mind and believed that certain sounds or words were difficult to say (which were most of them!). I would try so hard to say those words and yet the result was often block after block; struggle after struggle. Fear of stuttering was rampant in my mind and I had a high expectation that whenever I opened my mouth to speak to any person, I would stutter – if I wasn’t using any form of physical technique to control my speech. In addition, I had so many memories of stuttering in the presence of people (when trying to speak naturally fluently), that my brain was constantly referencing them if I went to speak to another person, without the aid of my trusted, yet tiring, breathing technique. Therefore, whenever I went to speak without ‘physical controls’ to assist me, my automatic mind/body reaction was to re-enact my very well learned and habituated response of planning and fearing words, leading to repeatedly blocking and stuttering. On the other hand, if I occasionally spoke without any forethought about words, my speech would flow. Why? I had not given my mind any time to plan or fear what I was about to say. In effect, I was momentarily speaking as a non-PWS; spontaneously – simply focussing on my ideas and not the specific words which my brain would choose automatically for me, as I was speaking. On these occasions, I was simply ‘thinking aloud’. However, understanding the problem was one thing. Solving it was an entirely different matter! Nonetheless, I was determined to find a way; to find a key which would unlock the door to give me the ability to effortlessly speak my mind when in the presence of others. So, if intensely focussing on words; the planning of and fearing saying them were key triggers for my stuttering, how could I reverse this ingrained and habituated response? How could I change my focus and give up the planning and fearing of stuttering on the next word? What was the key? Earlier this year, a book was brought to my attention, written by Lee G Lovett: ‘Stuttering & Anxiety Self-Cures: What 100+ PWS Taught Me’. Lee is someone who stopped stuttering around forty years ago, after he developed methods which enabled him to take control of his mind enough to prevent creating blocks and stutters and therefore, to prevent creating new stuttering memories. At first, many of the methods described in his book seemed to conflict with much of what I had been taught about stuttering and how to reduce it. However, I kept an open mind and continued to read on. I recognised that everything that I had tried so far, had not given me the outcome that I desired; namely, to consistently and effortlessly speak my mind. Lee was also offering free Skype coaching. So several weeks ago, I decided to accept his offer and to give his methods my best effort. I knew that if I didn’t, I would only live to regret it. I also watched many of his live coaching sessions on Twitch TV’s ‘Game of Tongues’, where he helps people who have stuttering and/or speech anxiety related issues. From what I saw, his approach for addressing stuttering made a lot of sense to me and confirmed my already held belief in neuroplasticity; our brain’s ability to change itself. At first, ‘changing my mind’ seemed a daunting task. I had so many stuttering memories and very few fluency memories stored in my brain. After all, for the best part of eighteen years, I had been heavily reliant on a physical technique to control my speech and therefore, most of the ‘fluency’ I had experienced had sounded and felt artificial and unnatural. Even so, I was very grateful for the relief that technique had given me. Therefore, to help counteract my distinct lack of natural fluency memories, I started reading aloud fluently to myself, daily, for one hour – putting in as much feeling, expression and animation as I could. This had two purposes: 1) To help me to get used to focussing on the message rather than on specific words and 2) to increase fluency memories which my mind could reference in the future, when in speaking situations. I also started reading aloud or talking to myself at every opportunity throughout the day when I was alone (even if just very quietly); for example, whilst driving or walking. By doing this, I was (and still am) building up even more fluency memories in my mind. As well as this, I started giving myself twice daily (morning and evening), Auto Suggestion Treatments for around 15 minutes each (plus occasional extras in my free time, when alone). Simply put, these are positive statements/affirmations about speaking, which I speak out loud to myself. As I do so, I visualise myself achieving the suggestion which I want my conscious and subconscious mind to accept and believe; for our thoughts, feelings and beliefs dictate our behaviour. I also recorded my auto suggestions and started to play them softly as I slept, so that my subconscious mind could absorb them, without my conscious mind’s interference. In addition, I started practising what Lee calls ‘Crutches’ on a daily basis; both alone and when speaking to people. These are simply methods for avoiding imminent blocks and stutters, so that more and more fluency is heard and recorded by my mind and less and less stuttering. For example, speaking outside of my normal voice register e.g. a little quieter or louder than usual and linking my words together in short phrases (with no gaps between syllables). As a result, I started to experience a significant increase in effortless and spontaneous speech, as I began the process of consciously refusing to let myself block and stutter. I was more and more ‘standing up’ to that part of my brain which was so well-trained in automatically planning and fearing words and therefore, was gradually refraining from activating the neural network that produced the struggled speech. Spontaneous, fluent speech was gradually increasing and planned, stuttered speech was gradually decreasing in my everyday life – and at a significant rate! Consequently, my brain was (and still is) continuing to build up more fluency than stuttering memories, thereby reducing the anticipation and expectation of stuttering. So this process continues, as I do my daily mind training exercises. It is still early days but as I continue to apply myself and stay disciplined, I believe that the time will come when I will only very rarely think about stuttering. I don’t know how long it will take for me to reach that point. However, I do know that as the neural network in my brain for fluency becomes stronger and larger (through increased use) than the one for stuttering (which is becoming less active and therefore, gradually weaker), my mind will slowly stop anticipating stuttering and may even forget about it altogether! Eventually, I will simply speak spontaneously; focussing solely on my ideas – leaving any residual fear of stuttering dormant at the back of my mind, most of the time. If I should get an occasional stutter thought or fear in the long-term, I know that I will always have ways to counteract it, to prevent a relapse. Thank you for taking the time to read my paper. I hope that it has given you greater insight into the nature of stuttering and that you have found it helpful in some way. Due to an unforeseen change in my personal circumstances, I regret that I may not be able to address all your comments or questions. However, I will do what I can. Wishing you all every success and happiness in your life. Good luck on your quest Hazel. I am some twenty years older than yourself. That extra life experience has allowed me to stumble over many of Lee’s approaches to my benefit. I too have all the publications you refer to. Thanks for your comments and best wishes. Yes, what we focus on can be so influential in determining the degree of ease which we experience when speaking. Less focus on the words and more focus on our thoughts/general ideas definitely helps! This paper rang so many bells. I too could rephrase words, lines, replies, time and time again, but when it was time to get them out, they were stuck even more. I changed my name to Nita, as I totally blocked on A, but started stuttering on the N instead. Every stuttered word was punished by the voices in my head (stupid, idiot, why can’t you talk properly) etc etc. I even closed my eyes during a block, as when I close my eyes, the listener wouldn’t have heard my block… I became so afraid of my stutter, and speaking as such, I became mute, as I thought that being mute would be not be seen as a failure or a joke. And I completely lost myself. At the age of 27 I found my stamily and realized I had the right to talk, no matter how, and I stopped avoiding. Today I talk. I’m not fluent, but I say every single word I want to say, even if people fill in. I also learned techniques during the years, but never really used them. It was like maths: it’s hard to understand and digest, untill you see the purpose (I went from D’s in my teens to straight A’s as an adult, as I finally understood how to use maths in daily life 🙂 ). So when I became a teacher, suddenly everything I learned fell into place and I could finally see the connection between the public speaking courses and speech training, combined with my new job, teaching adults and drop out teens. The breathing, using my voice, volume change, pitch change, pausing, body language etc, they suddenly all made sense. I still stutter, but I can communicate like any other fluent person. So happy you found your “thing”. I hope many people read your paper and will try the paths you took. Thanks for your comments, Anita. Thank you for your post. Also, thank you for all of these great resources. I was wondering if you had any tips on how to facilitate fluent, self-talk in young children? Considering the child does not read well enough yet to engage him or herself by reading-out-loud, how would you go about helping the child develop fluency memories? Thanks for your interesting question. However, unfortunately I don’t feel that I am qualified to answer this particular one. Your best option might be to contact a speech professional who has experience of helping young children who stutter. The only ones that I have personal experience of are Barbara Dahm and Tim Mackesey. I know that they both have had success with helping children who stutter to move towards more natural fluency. Sorry I cannot be of further help. Thank you for sharing your thoughts! You have presented many ideas, that I myself have never considered before. I am studying to become an SLP, and will keep your experiences and suggestions in mind when working with patients. Thanks for your comments, Natalie and I wish you well in your studies. Thank you so much for sharing your story! I am a student studying speech-language pathology and your story is so interesting to me! It mentioned that you have a passion for public speaking and you are a speaker for the Women’s Institute. You also mentioned that doing exercises helps your speaking in everyday life. Have you noticed that the exercises are helping you when you have to have a speech that is planned out or are you still anticipating the stutter? Or do you plan out the topics of your speeches and not the exact words you are going to say to help the spontaneity? Thanks again for sharing!! When I am delivering a lengthy speech, for example a 45 minute one to a Women’s Institute group, I always have a sheet of paper by my side with the main bullet points listed. However, when I am actually speaking, my main focus is on being as emotionally and physically involved in my message as I can be. For example, using appropriate body language and being really expressive as I share my thoughts with the audience. I go with the attitude of having as much fun as possible! Sometimes I do know some of the words which I am going to say beforehand – such as the planned introduction and conclusion but a lot of the speech allows for spontaneity – with my main focus being on the general point that I am sharing at the time. However, even when I am word aware there is usually no (or very little) fear present and therefore no (or minimal) stuttering. For example, yesterday evening I participated in a Toastmasters’ Area Speech Contest where I delivered a humorous speech lasting 5-7 minutes. I didn’t care where I was placed at the end of the contest. My main objectives were to have fun speaking and for the audience to enjoy the speech. I believe that both these were achieved and I had absolutely no fear or thoughts about stuttering throughout the speech. In my experience, fun counteracts fear! Best wishes to you for your studies. Thank you so much for sharing your experience and your journey. Personally, I do not find that I stutter because of intense focus on words and on planning the words I can say as opposed to speaking with the flow of my thoughts. Therefore, your experience is of great interest to me, as it seems to represent another of the many different experiences of PWS. For me, and this is entirely personal, having worked through accepting myself and my stuttering and then worked through understanding and facing my fears and shame, I am able, most of the time, to “simply speak spontaneously, focusing solely on my ideas and leaving any residual fear of stuttering dormant at the back of my mind”. When stuttering crops up, as it frequently does and as I expect it always will, I don’t fight it – most of the time. So, again, it is fascinating to me how we PWS are different, have different experiences, and different approaches work for different people. Your paper on your approach is important, although I do hope that SPLs reading this, and all the other papers, realize that there is a spectrum of experiences and of effective approaches. Thank you, and keep well. Thank you for your comments and for sharing your experiences. Yes, we are all different and each person needs to find the best approach for them. Thank you for sharing your thoughts and journey in this paper! Your words are kind and you overcoming the obstacles you faced is inspiring. I wish you the best! Thank you so much for taking the time to share your thoughts and experiences throughout this paper. I found it interesting when you said when you spoke without the thinking of words, your sentences seemed to come out rather well compared to when you were to think about them which to me makes sense. I was wondering if you felt more comfortable communicating via technology or in person and also how has technology helped you throughout your life? Thank you for your comments and interesting questions. I think my honest answer to the first one is that sometimes I do feel more comfortable communicating via technology (that is, writing on-line). However, I definitely find speaking to people; whether that be on the phone, over Skype or face to face, a lot more enjoyable these days. When practical and appropriate, I usually choose speaking over writing. To answer your second question, advances in technology have made it possible for me to share my thoughts, ideas and experiences across the world to a wide range of people and to make friends in many countries. For these, I am very grateful. I enjoyed reading this! I really liked that at the end you gave questions for people to ask themselves! Thanks for your comments and I’m glad you enjoyed reading it!